Thanks to all the guys and gals in Fermoy Rifle club for hosting the NASRPC this past weekend. The sun was shining, the BBQ was lit, the craic was good and some great scores got recorded. As the last heat for National Team Selection before the World Cup there was a lot of interest in the GR1500 scores – which, as always in Fermoy, were huge – we saw some of those that will be representing Ireland in the IGRF World Cup in less than two weeks post new personal bests – which shows their preparations are well on track. But it wasn’t all 1500s – we recorded over 70 new personal bests across the rest of the disciplines. There’s something in the water in Fermoy!! 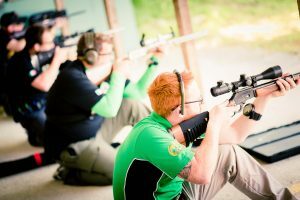 We’ll see those of you shooting the preshoot for the World Cup next weekend – and everyone else the weekend after.